HYTE Warehouse is back in full force in the Dam since last week. The international outfit, known for hosting parties in Berlin, Barcelona, New York and Chile, immaculate line-ups and raw, industrial settings, hit a home run last week with two excellent event productions. This weekend will see one of the highlights that many have been looking forward to: the Movement Detroit night, featuring two of the Belleville three, Derrick May and Saunderson, and Holland’s very own Sterac aka Steve Rachmad. It’s a pretty rare opportunity to see these three guys, each with a history to them of mythological proportions, together in one room. Last Friday’s kick-off was a techno-minded benison of esteemed veteran Ben Sims, Cosmin TRG and Answer Code Request, with all-rounder Italojohnson setting the bar for local acts like Carlos Valdes and Interstellar Funk in the second area. The venue HYTE has picked out for its Amsterdam sessions fits perfectly within the bounds of what the organization is trying to purvey here. The legendary Elementenstraat lends itself for its stripped warehouse vibe. The barely lit dance floors (at some points you can hardly see who’s standing in front of you) add to the experience of being a part of something that is out of the ordinary in clubland, along with a minimalistic lightshow that wheels you in as the night progresses. 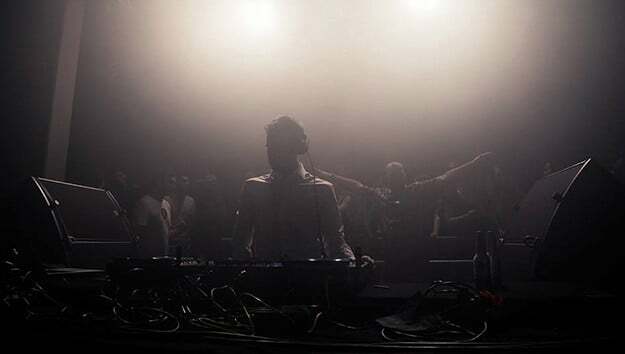 The following Saturday was equally fulfilling with Job Jobse, Maya Jane Coles and Jackmaster destroying the main room. There was even a little B2B between Jackmaster and Tom Trago during the last half-hour or so. One would hope these impromptu get-togethers between artists will happen some more in the coming weekends (Just imagine Robert Hood and Dettmann spinning a few records together..). First thing’s first though. On Friday two long-time partners and friends will be flown in from Detroit to headline the event. Kevin Saunderson, and perhaps even more so, Derrick May have been at the helm of Detroit Techno for three decades now. Their back catalog has inspired two generations of aspiring artists to become great at the art of music production. One of those artists was Amsterdam’s very own Steve Rachmad. In his late teens, his record collection revolved predominantly around the then relatively new techno sound coming from Detroit. It inspired him to buy his own drum computer and second hand Atari to try out his own beat-making skills, as he explained in his interview with us back in 2014. The rest is history and now Rachmad is playing as his alias Sterac alongside two of his biggest inspiration. It somehow feels as if dance music makes a full circle on this night.